hi there.i am using this phone from 2014 september along with my note 4 (since 2014 october) so I can pretty much compare the 2 devices.so start with battery life.standby time is awesome but if you use the screen(internet/games) it will not last more then 3.5 max 4 hours compared to easy 5-6 hours on note 4.Before i got note 4 i had no problems with the screen but definately feeling the superiotity of note 4 now. Outside readability however is way better on 930.phone call quality is way superior than on note 4.charging time is way better on note4 however using note 4 set it is done within 1.5 hour though.operating system:to be followed..
Can anyone tell me is there big issue of heating in this phone....?? ?lot of people says phone will get heat when normally using..it's confuse me..i'm going to buy this phone...so plz any couple of months user (this phone) is any heating problem in this phone??? tarun, 19 Apr 2015HEY GUYS could someone help me how is the speed on this device does it ever get lagging after ... moreWindows phones in General, have much higher performance and battery backup compared to Samsung phones. All the apps can be un-installed, so No default apps will consume your battery. If you want real battery back for more than 2 days, go for Lumia 1520 or 1320. but it's much bigger. did you try using storage sense? 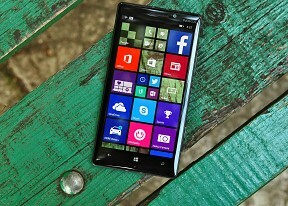 I have used the Lumia 930 for a few months now. Overall it is a good phone. It is heavy (I used a 920 before so it is still lighter than my previous phone but generally heavy and I ma not sure why). The 20mp camera is not convincing. It is slow to focus so by the time I take good pictures I have taken 3 not so good ones before. HDR(or what is called "rich capture") only works super well if you are dead still. Apple and Samsung take pictures that are just as good but take a shorter time to get good quality pics (I realized this when i was trying to take a picture of a dolphin as it jumped out...i had to hope it jumps out again). The processor is brilliant (I think the OS works with less power so this one makes it super smooth). I have to point out that the phone, again, is generally great and would buy it again if given the opportunity. 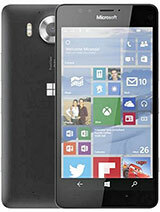 No phone is perfect but I can happily say that the 930 is an improvement from the 920 which is also a brilliant phone. AnonD-389338, 23 Apr 2015You should check with which resolution you made the video. Go to your camera, click the cogwhe... more2160p is not 4k. Maybe someday.. L930 will be mine..
John, 18 Apr 2015I made a 1 minute and 30 seconds of a video and put it in the onedrive. In order to download i... moreYou should check with which resolution you made the video. Go to your camera, click the cogwheel (settings), swipe to video and check the resolution. For fast uploading and downloading/streaming, choose one of the 720p resolution options (fps=frames per second, so more pictures per second and clearer image, but also more data). If you leave it to 2160p/30fps, you are shooting a 4k video, which produces HUGE data files. Not good for storing in the cloud if you have limited space. 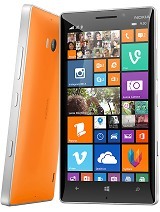 I've just started to use the Lumia 930. There is a learning curve to get comfortable with the phone. Some features like Cortana need improving. Nevertheless, the Lumia 930 is an excellent product from every aspect and superior by a long margin to the iPhone6 in particular software interface. I have a problem with the speaker while I'm talking on the phone. When I call SB, as soon as I activate the speaker, the person on the other side can not hear me. Does anybody else have this problem? Or it is just my phone that has this issue? 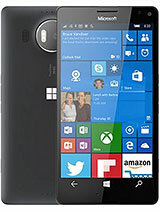 Sanju, 22 Apr 2015Dear Guys March'24 I buy Nokia Lumia 930 window phone, its really amazing cell phone ever lau... moreAgree, this phone is buttery smooth. Can this work with at@t or cricket wireless?